The 8 Best Comedy Clubs in Arkansas! Have you heard the one about the best medicine in Arkansas? No? Well, while it will definitely tickle your funny bone, it is no joke that laughter is the best medicine and that Arkansas is home to some rare comedic gems! 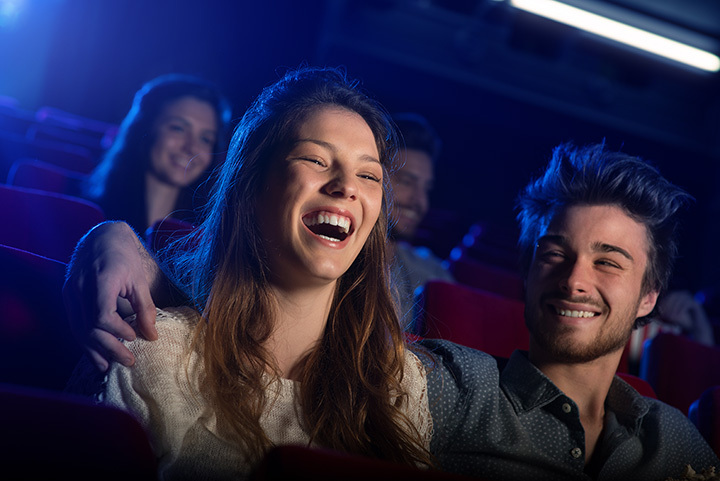 If you’re looking for some good, side-splitting gut laughs, then you’ll be tickled pink with our list of some of the most comedic spots in Arkansas! You won’t find anything funnier than this group in all of Arkansas! Comedians of Northwest Arkansas is a collective of hilarious and talented comedians based in the NWA area that was founded in 2010 by funny guys Troy Gittings, Brett Robinson, Zac Slusher, and Brian Spence. Featuring a FREE to attend open-mic night every Thursday, this comedy club of sorts regularly provides a rotating venue where local comedians can take the stage, develop their craft, and grow their fan base. You’ll find some of the funniest people on the planet on the stage at The Looney Bin Comedy Club. Located on North Rodney Parham Road in Little Rock, The Looney Bin features the best local and out-of-town comedians to ever take the stage. From open-mic nights to rock star comedy veterans like Shaun Jones, you’re sure to laugh the night away at The Looney Bin. Using their rotating platform, Nomads Music Lounge in Fayetteville has been booking, hosting, and supporting local artists, musicians, and comedians since 1999. Come check them out every Tuesday night for their Open Mic So-Fay or during the third weekend of every month when they feature the very funny Southtown Comedy Show. Black Apple Crossing, located on historic East Emma Avenue in downtown Springdale, not only features hard cider that’s as natural as the surrounding Ozarks, but this venue also hosts the Stand-Up/Stay-Up Comedy Show as part of their “Ciderday Night Live” series. This funny and free show is a Comedians NWA showcase that is put on by Fayetteville’s Stetson Banks and stars both local and out-of-town comedians. This funny place is a popular community event venue located right at the heart of downtown Fayetteville on Center Street. Stage Eighteen routinely hosts some of the best comedians in the Natural State during their open-mic night on the 2nd and 4th Thursdays of each month. While this venue doesn’t host comedians on a full-time basis, the Robinson Center in Little Rock is a great place to catch a comedy show or two. As Central Arkansas’ premier performing arts venue, the Robinson Performance Hall features well-known comedy giants like Ron White, David Sedaris, and Kountry Wayne. View more Arkansas Comedy Clubs.